With the Base Table, designer Mika Tolvanen has created a table which unites two apparent opposites: The Base Table has strong individual character, without appearing overly imposing. For the Base Table, Tolvanen has drawn an archetypal shape, which seems inviting and homely. 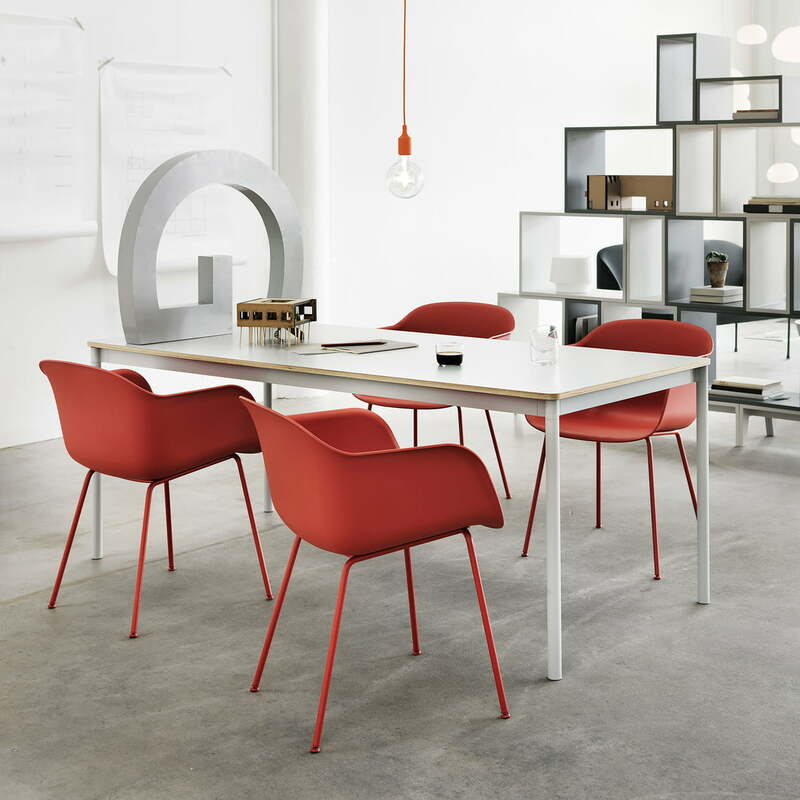 This makes the Muuto Base Table ideal for various purposes: as a desk, conference table or simply as a dining table. 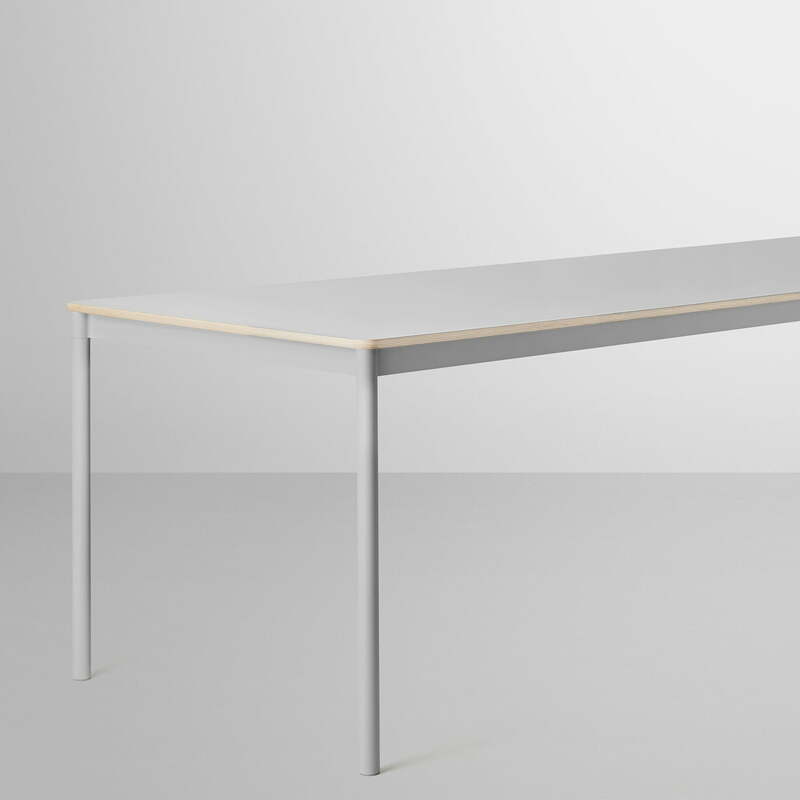 The slim shape of the Base Table is given by the cleverly designed aluminium structure hidden underneath the table. During the manufacturing process of the Base Table, particular emphasis was placed on details and quality as well as on durability with continuous heavy usage. The deceptive simplicity, lightness, versatility and the high-quality construction make the characteristic table a timeless addition to almost any interior. 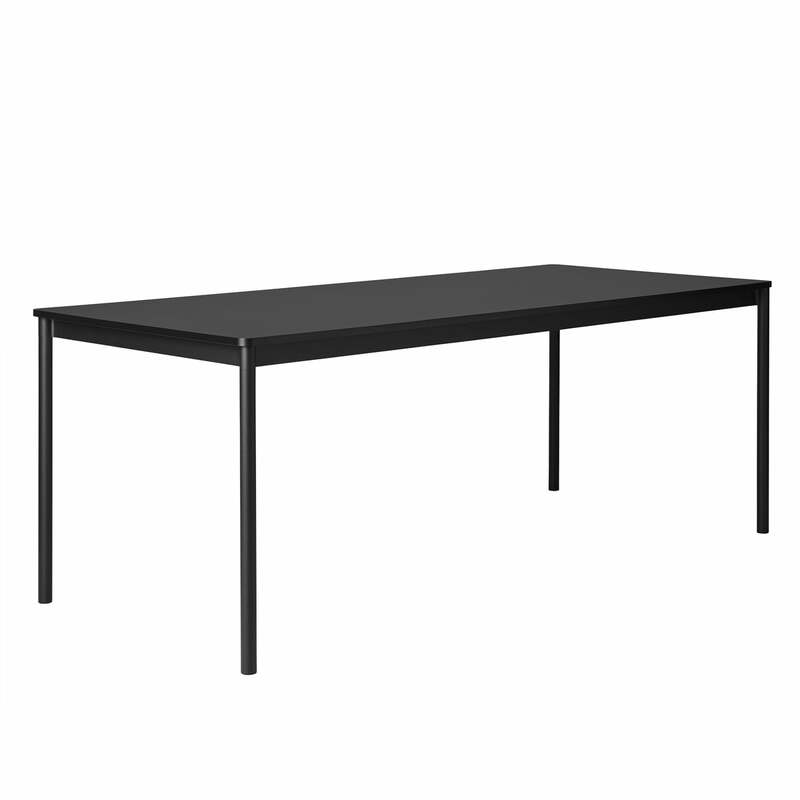 The Base Table is available in various sizes as well as in a round edition. 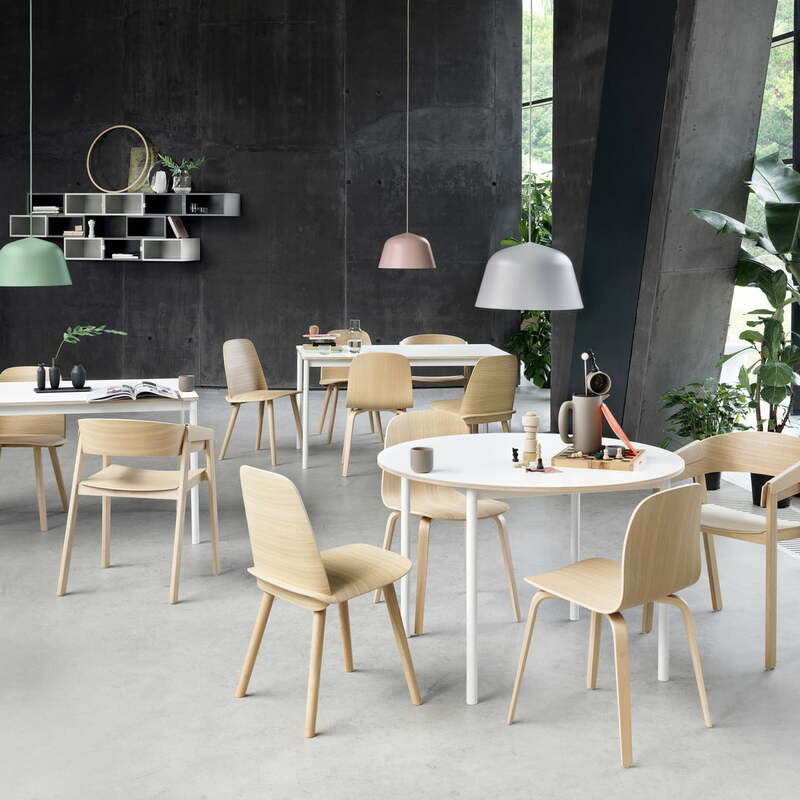 You can choose between a white version with plywood edges, a black version with ABS edges and a black and white version with oak table top and plywood edges. 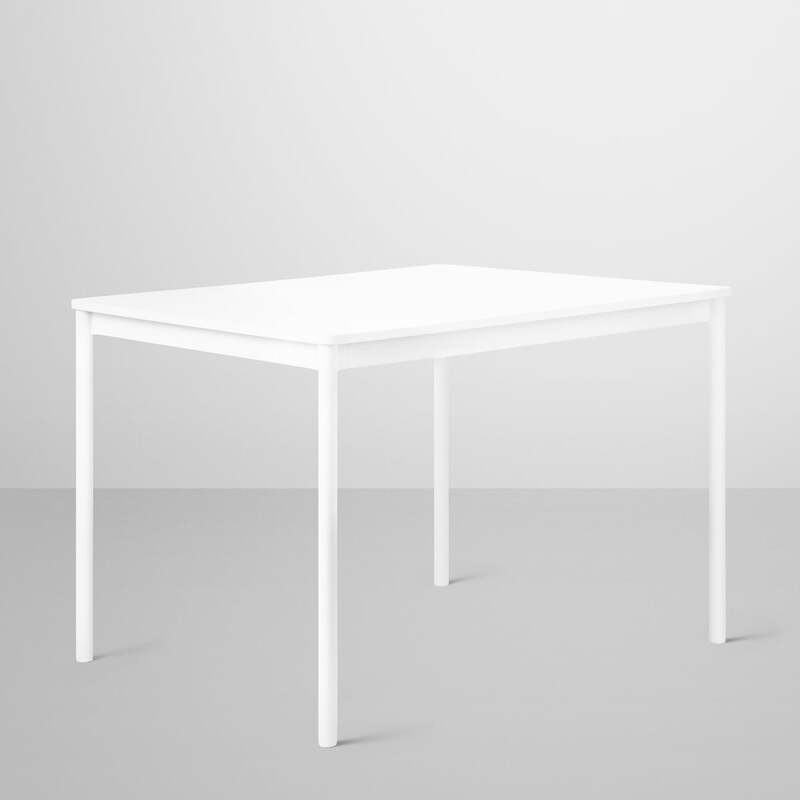 The Base table by Muuto in white with plywood edge by Muuto. 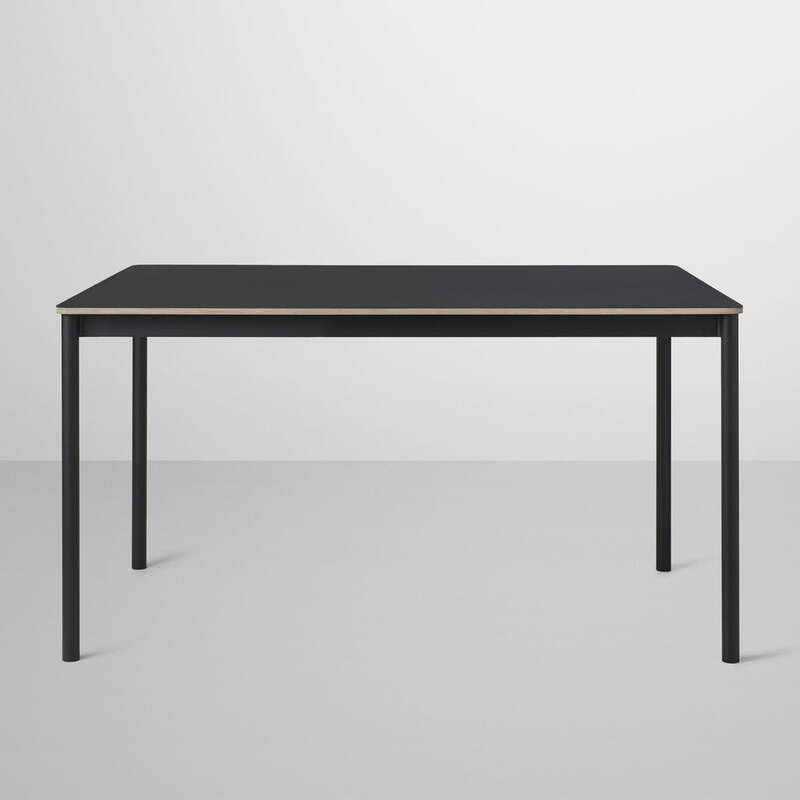 the Base table is a subtle but expressive table by Muuto. That’s why Base is ideal for the private as well as professional environment. 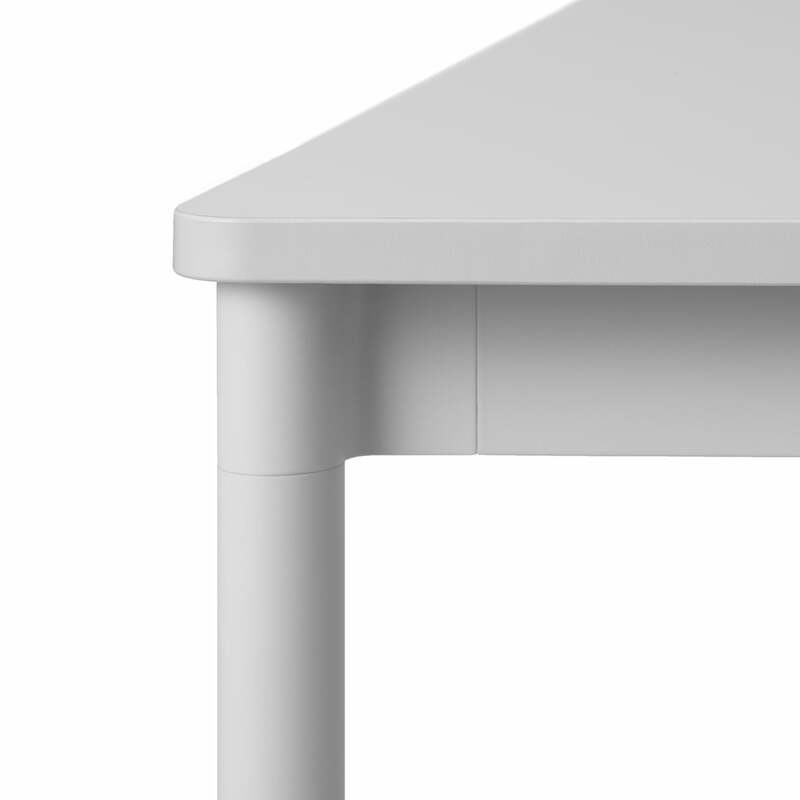 Detail view of the Base table by Muuto in grey with plywood edge. Mika Tolvanen designed Base with much attention to detail and put high value on quality. 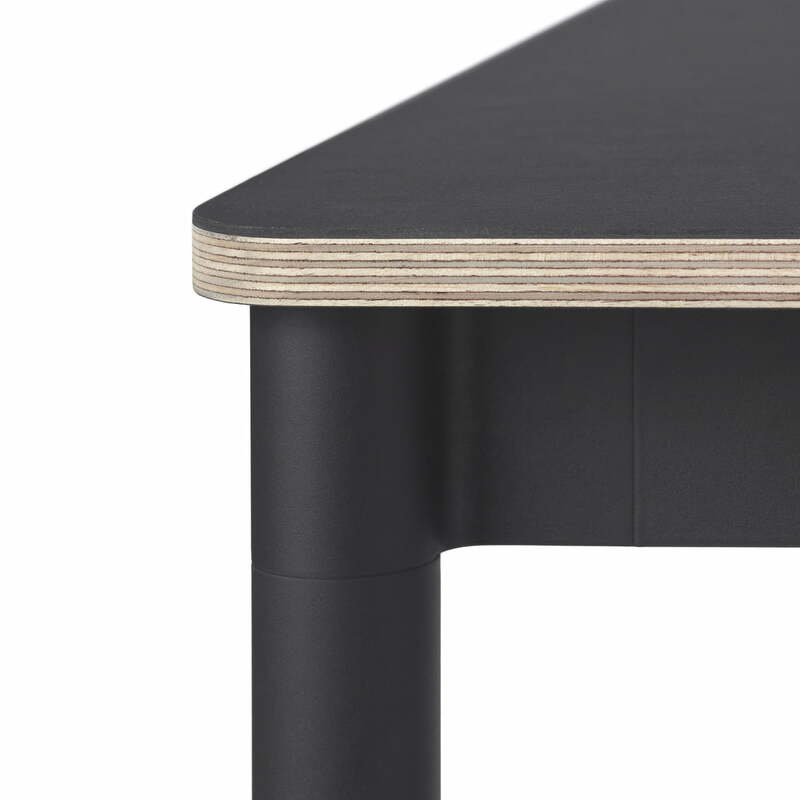 Detail view of the Base table by Muuto in black with plywood edge. Mika Tolvanen designed Base with much attention to detail and put high value on quality. 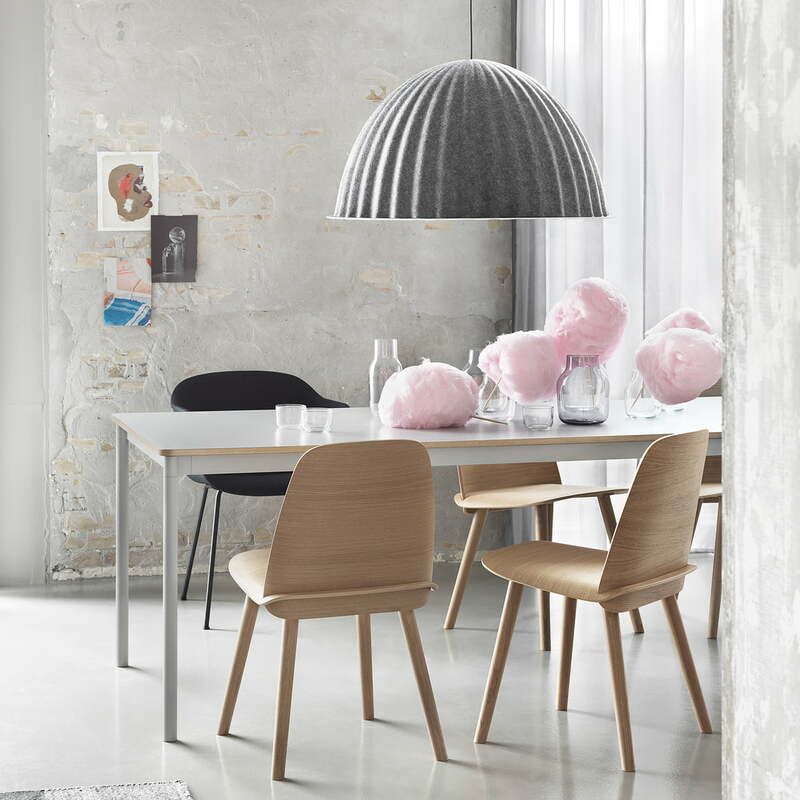 The pendant lamp E27 in yellow and the Base table in grey with plywood edge by the Danish manufacturer Muuto match perfectly regarding colour range, shape and the modern look.